KWD 45.9 including 1 KWD shipping. Like all the other companies, HTC has recently unveiled their new phones with the now popular 18:9 screen format: the HTC Desire 12 and 12 Plus. Here we will be discussing the Plus version and surprisingly, it will be a mid-range phone. Keep reading to find out more about this phone including the HTC Desire 12 Plus Kuwait price and release date. 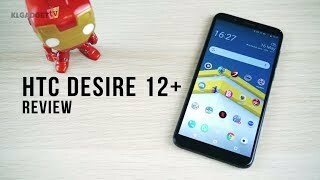 As the name suggests, the HTC Desire 12 Plus is a big phone and will show up with a big 6.0-inch screen showing 1440 x 720 pixels resolution, 18:9 aspect ratio and 268ppi of pixel density. As most of the phones with this screen size are packing minimum 1080p resolution, this is definitely not something you would expect. It’s not near bezel-less as well and the screen-to-body ratio is about 76.7%. For those of you who are a fan of HTC’s liquid surface design in the HTC U11 series including the HTC U11, you will see similar curved edges and luxurious look in this one. However, this means it will be quite a finger magnet. Thankfully the 3.5mm headphone jack is still there but there is no home button and it doesn’t come with any sort of dust or water resistance. 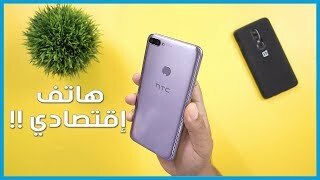 Right after the HTC Desire 12 Plus release date Kuwait, it can be found in three different colors: Black, Gold and Purple. One of the major differences between the standard and the Plus version is in the rear camera. The HTC Desire 12 Plus comes with an extra 2-megapixel camera along with a primary 13-megapixel camera on the back. It will be capable of capturing 1080p videos at 30fps. We don’t know much about the camera yet and we will have to wait for the HTC Desire 12 Plus release date Kuwait to find out more. On the front side, it’s an 8-megapixel camera sensor with f/2.0 aperture and it will be capable of capturing 1080p videos as well. If you are in the market for a phone with good camera, there is the LG G5 and OnePlus 5T you can check out. 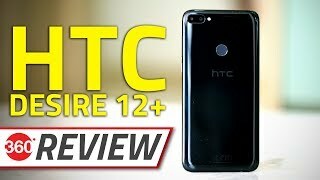 These are more expensive compared to the HTC Desire 12 Plus but you will be satisfied with the camera of these phones. This is where the phone took a blow to keep the price pocket friendly, it’s processor. It’s packing a low-end Qualcomm Snapdragon 450 octa-core processor clocked at 1.8GHz and will be paired with 3GB of RAM. The built-in storage is also not so impressive, it will offer 32GB built-in storage but there is a microSD card slot as well. Considering the specs inside, the battery size looks good as it will be a 2965mAh Li-Ion battery. However, there is no fast charging which is another common feature that’s missing in this phone. Other notable features include: fingerprint scanner, microUSB 2.0 port, 3.5mm headphone jack and dual SIM slot. For those of you who are in the market for a phone with bigger battery, there is the Xiaomi Mi Max 2 and Asus Zenfone Max 2016 you can check out. 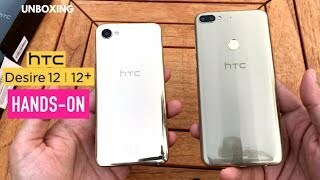 These phones are already available and can be purchased right away instead of waiting for the HTC Desire 12 Plus release date Kuwait. The HTC Desire 12 Plus will be available for only about KWD 100 . However, it’s not expected to show up anytime soon before May, 2018. 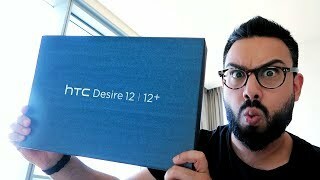 The desire 12 plus Mobile Phone is manufactured by Htc and was added around September 2018 and is part of the HTC Desire 12 Plus series. This version of the Mobile Phone comes in Color : Gold , Capacity : 32 GB , Processor Speed GHZ : 1.8 GHZ , Band : LTE , Display Size : 6 Inch , Sim Cards Slots : Single Sim , Special Features : Touch Screen , Device RAM : 3 GB. The model comes in 14 other variations including combination of LTE Band , 32 GB Capacity , Silver, Black, Gold Color , 3 GB Device RAM , 6 Inch Display Size , 1.8 GHZ Processor Speed GHZ , Dual Sim, Single Sim Cards Slots , Touch Screen, External Memory Card Special Features. Price has decreased 32% from KWD 66 on 2018-09-10 to KWD 45 today.